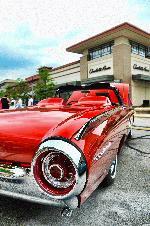 Lots of shots from the Supercar Saturday car show held at the Promenade Mall in Bolingbrook, Illinois on 7/6/2013. Lots of wonderful cars and nice weather. Various photos from the 4th of July car show that took place at Naperville Crossings in Naperville, Illinois. Just a great event with plenty of great People and cars. The music was great. Everyone had a real good time. They had a new attendance record with 657 cars. It was a perfect day sunny and mid 70s. the roast corn was great. I think everyone had a great time. As a bonus when I was leaving the first gas Station was only $3.49 per gallon of regular. Various photos from the Rotary GroveFest held in Downers Grove, Illinois on 6/23/2013. Excellent turnout and a beautiful day. A good turnout and a beautiful day. Various photos from the Midwest Gear Grinders car show that was held at the Promenade mall in Bolingbrook, Illinois on 6/22/2013. Turnout was down a little bit due to remodeling of the centers concourse. There where still plenty of Great People and Cars. A wonderful event with food refreshments, and plenty of great people and cars. Good weather brought out a great turnout for Morris's first Car show of the season. They had over 750 cars show up. I had to stop shooting before I could get them all due to darkness. A Good turnout with wonderful weather, and a good time was had by all. Even with some drizzle about 70 cars showed up, and a good time was had by all. Ther was a nice turnout for their first car show of the season. Due to other comitmints I was only ablr to spend about an hour here. It was a nice variety of cars on display.